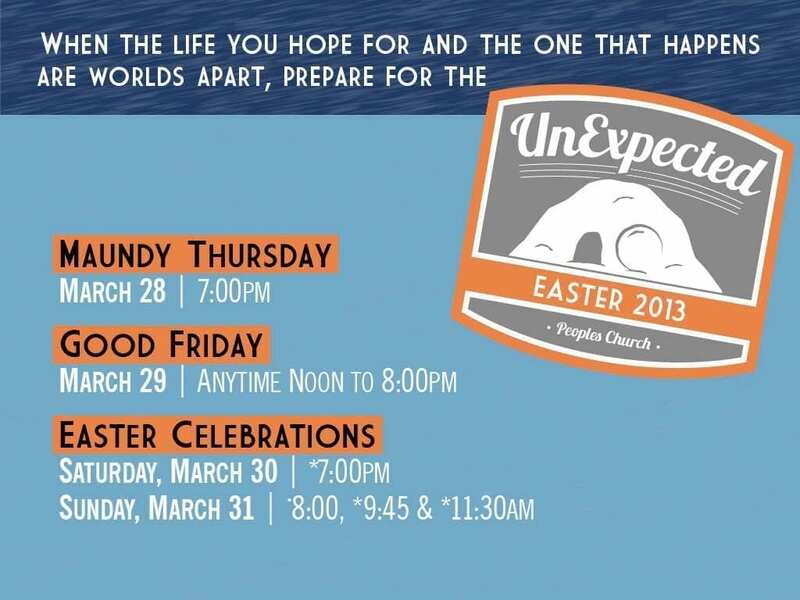 For Easter 2013, Peoples Church wanted to focus on the idea that for everyone but Jesus the resurrection was a surprise. Despite all Jesus had taught, they still had missed the central idea that He would rise from the dead. For them it was UnExpected. We decided to go with a retro badge feel and to focus the imagery on the open tomb. 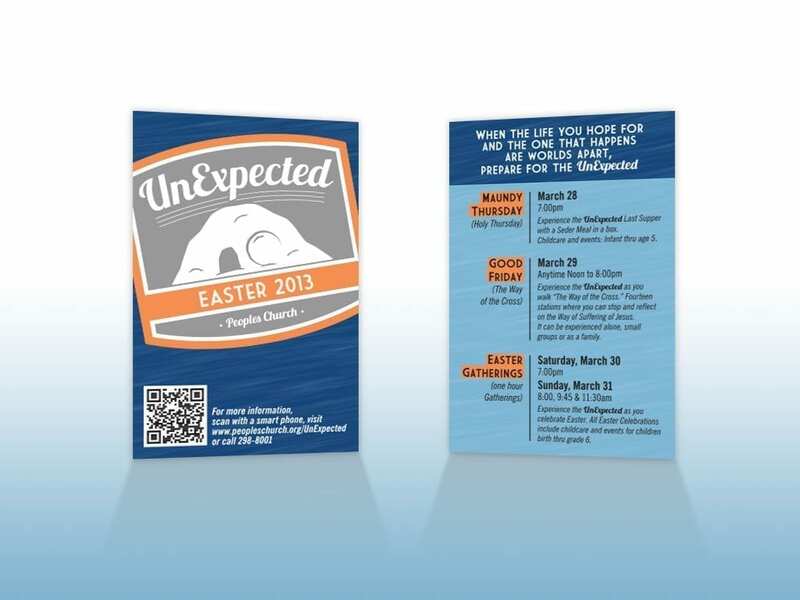 In addition to postcards, invite cards and exterior signage we printed matching stickers that were used to seal snacks which were handed out prior to gatherings.